First week of November I was diving in Gulf of Thailand and put my hand on the Sea Urchin. I removed all stings but my finger (just one) until now is still swollen and I am still unable to bend it properly. It does not look like I have anything left in my finger but it also does not look like it is healing itself. What should I do? There is a chance something got left in. A tiny fragment from the tip of the spine is the most likely. But no surgeon is going to plough in there risking further damage. You have an infection, that much is obvious, so the best way forward is to take antibiotics. Magnapen 4 times a day is the best, as long as you are not penicillin allergic. The fragment, being made of keratin, like human hair and nails, will disintegrate in time, and the infection will be fought, and all will be well. If it happens again, there is a myriad of potential ways of removing spines. 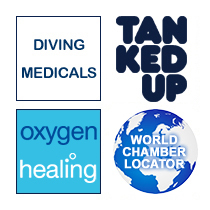 See the e-med “Your diving medical questions answered” page for helpful tips. Wax, needles, hot rocks and hammers, that sort of thing. Never urine though. Sea urchins vary considerably in colour, size and venomous potential. They are animals of the phylum Echinodermata, “urchin” being the Old English name for hedgehog. The spines are attached by ball-and-socket joints to their globular body, and can waft about menacingly, or converge on a point to deter predators. Unfortunately the spines are very sharp, often piercing tissues on contact, and very brittle, tending to break off and embed themselves within those tissues. Unsurprisingly, severe pain ensues, out of proportion to that of the piercing alone, and lasting up to 4 hours. Trying to extract the spines only serves to snap them off deep in the wound. The surrounding area then becomes inflamed and swollen over the next few days, with any luck healing up in a week or two. Sometimes the spines are absorbed by the tissues, but they can also become encrusted and remain for many months before emerging from sites distant from the original puncture site. This has obviously happened with the spines in your finger and toe. Drawing pastes such as magnesium sulphate will often speed this process up. The other possible complication is infection, which is accompanied by the usual signs of increasing pain, redness and swelling. Occasionally the ache spreads to involve the whole limb, making movement difficult. Traditional Islander remedies include urinating on the wound (nice) or placing it in thick mud. Bathing the area with hot water or methylated spirits has also been advocated. Embedded spine fragments can be crushed up by vigorous pummelling with a fist, which seems to relieve pain, although whether this is by replacing it with a distracting new pain is unknown. Rarely, if troublesome remnants persist, they can be dealt with surgically – an X ray of the area should pinpoint where they are, and under local anaesthetic the area can be explored and the pesky fragments removed. So in your case I would hold off as those bits in your hand have probably either been broken down, or will work their own way out. It’s a bit late to start peeing on your hand at this stage.